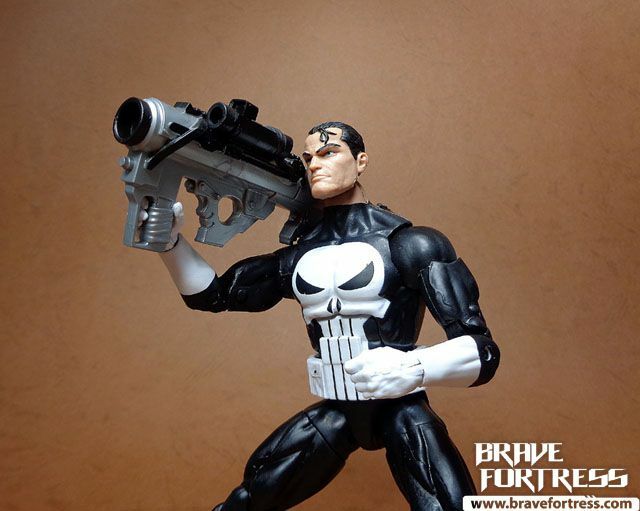 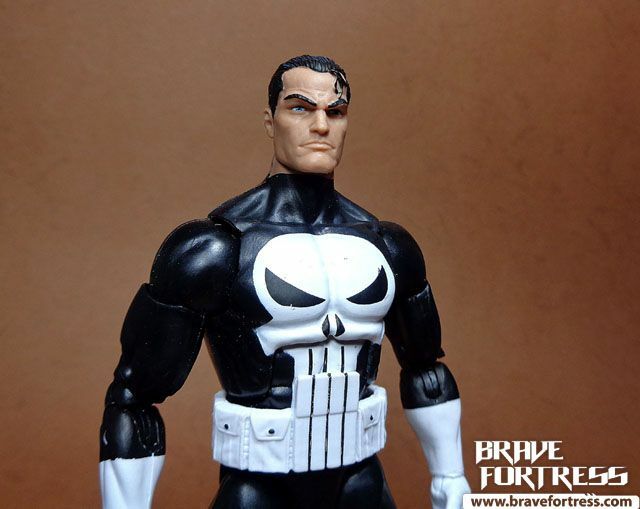 Every time I say to myself, “ok, this is it, this is the best Punisher figure”, Hasbro always somehow manages to roll out a better version down the line. 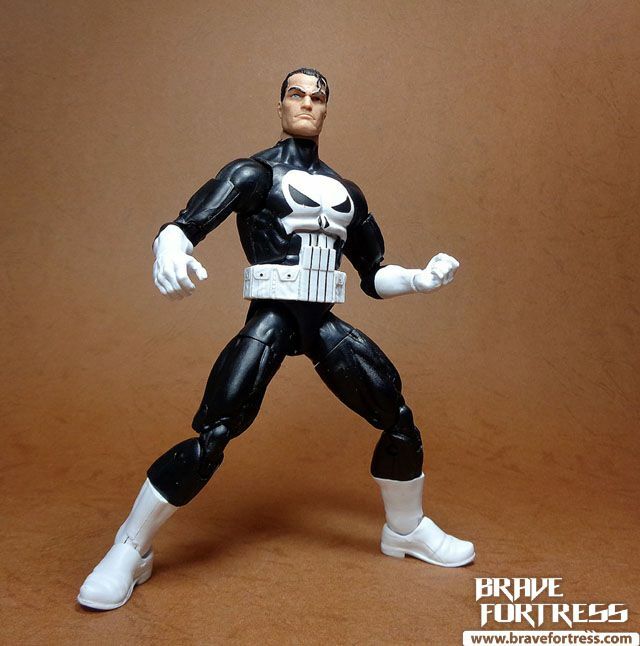 I gave in and grabbed this guy while it was on weekend sale at the mall. 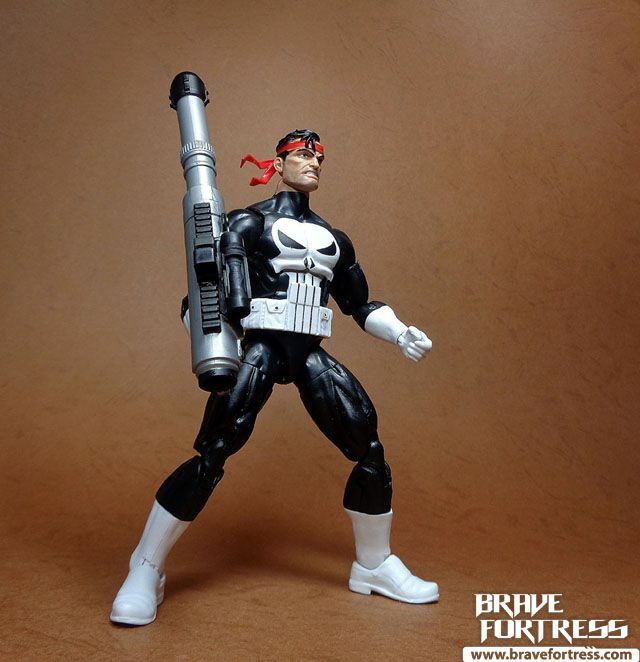 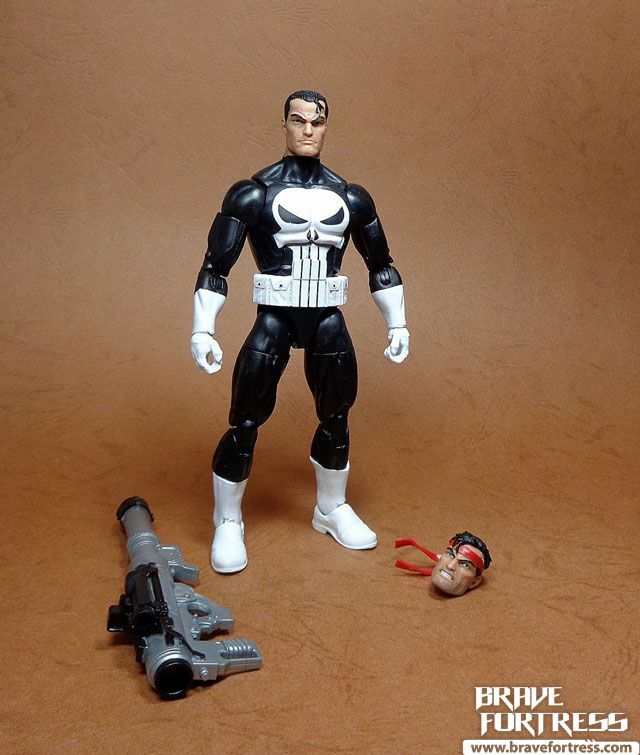 A reuse/ redeco of the previous, “Jim Lee” styled Punisher figure, this one features a more classic deco on his belt (all white) and he comes without his webgear vest, resulting in a cleaner, more “iconic” look for the character. 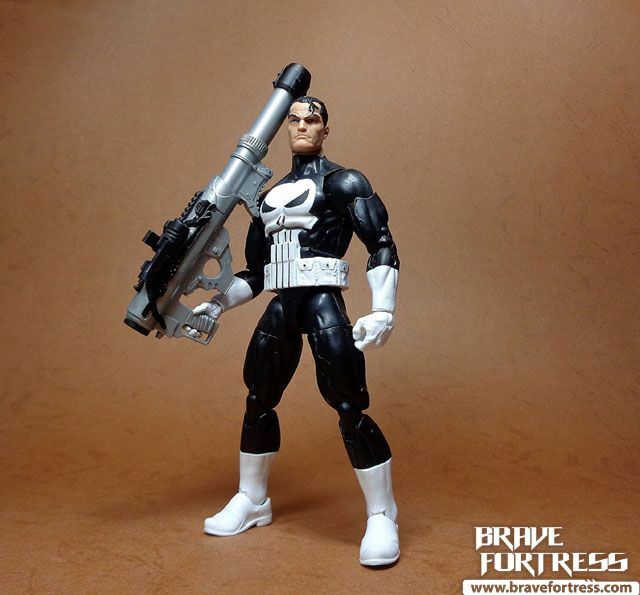 His only accessory is a rocket launcher. 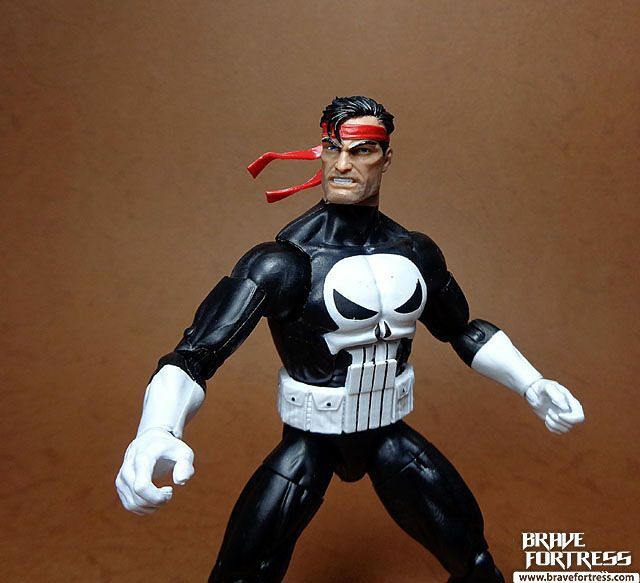 “Jim Lee” head, this time with a red bandana. 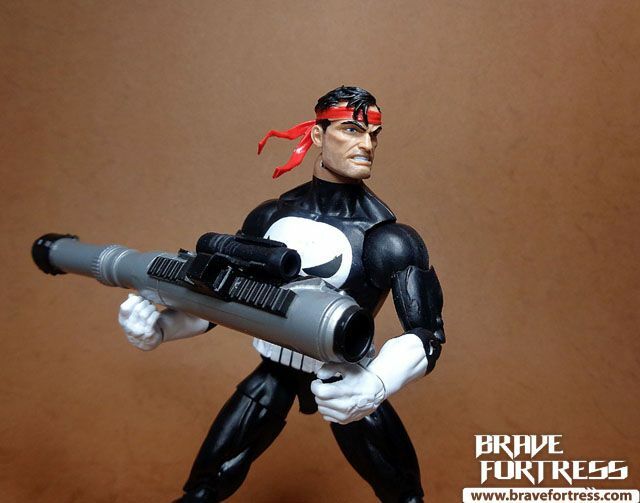 I really wish they included more guns with this figure.